Our indoor bins are ideal for offices, schools and public indoor spaces. 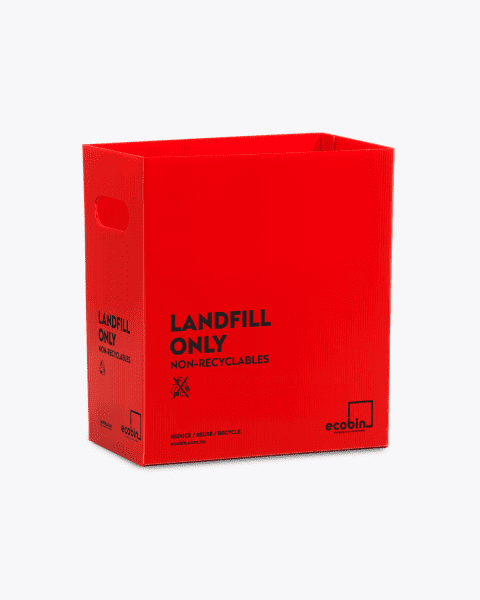 Our Original bold coloured range of recycling bins are 100% recyclable at the end of their life; suitable for popping into your curb side collection bin. 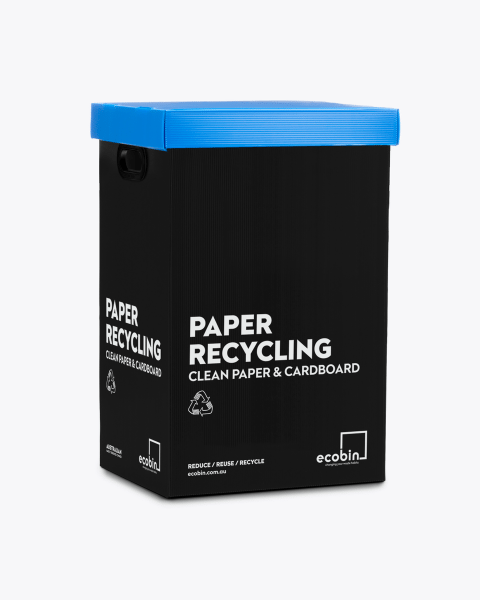 Our black range of recycling bins are made from post-consumer recycled plastic, these indoor bins are the ideal choice for the most environmentally conscious organisations. 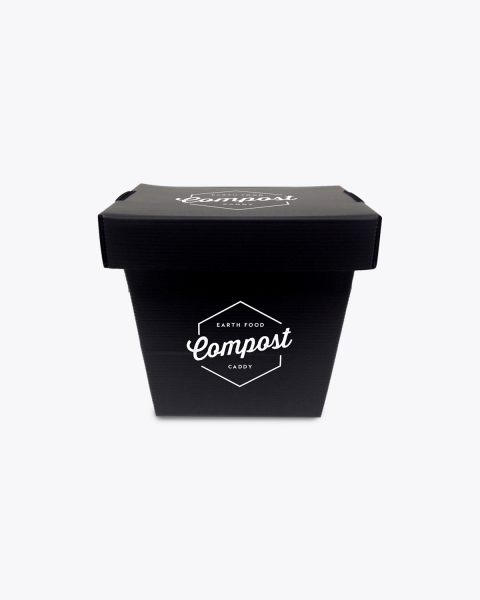 Our beautiful range of FLIP bins are also made from post-consumer recycled plastic, and feature a self-closing lid to keep odours in and bugs out and are fully recyclable at the end of their life. 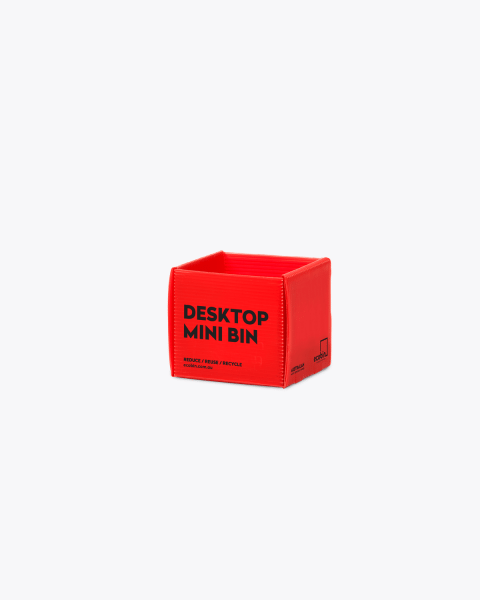 Our indoor bins are available in a range of styles, including with, or without a lid and smaller versions for areas with limited space, these indoor bins are perfect to keep you accountable with your recycling and office waste management. Did you know that 99% of the items we buy end up being thrown in the trash within six months, and that the average Australian produces 1.5 tonnes of waste per year?! With all the trash humans generate each year, it’s no surprise that the environment is suffering. However, there is an easy and effective way to address this issue: proper waste management. Our range of indoor bins are the best tool to help divert unnecessary waste being sent to landfill by separating your waste at the time you throw it out. This is easy for your staff and students to do using our bold coloured waste separation bins. Paper (Blue), Organic (Green), Mixed Recycling (Yellow), Soft Plastic (White) and Landfill (Red). 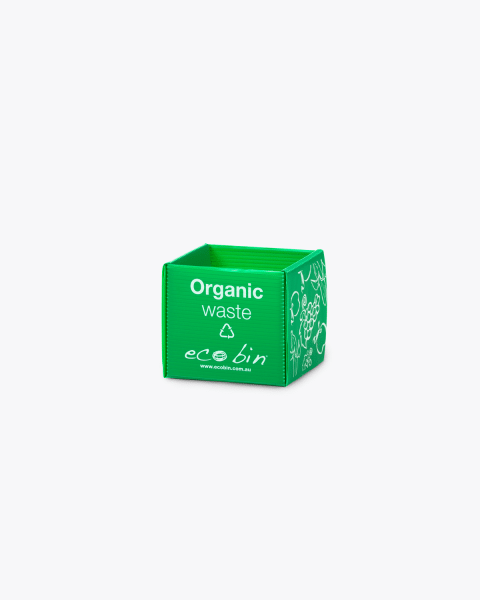 The Ecobin indoor bins come in a range of size and style options for your individual needs. These indoor bins are made to be durable and washable so that you can get as much use out of them as possible, plus they can be easily cleaned with a damp cloth. Your indoor bins will ensure that your staff aren’t tempted to drop their paper, plastic or fruit and vegetable scraps into general waste, and will instead help you to make the most of your waste collection program. 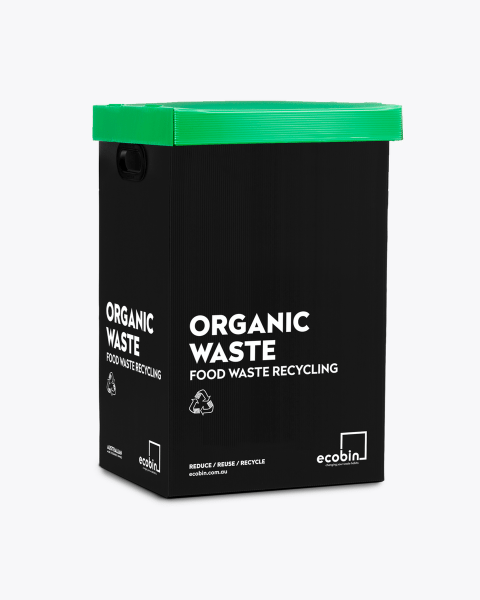 If your office is interested in improving their office waste management then rest assured there is an Ecobin indoor bin that will suit your needs. 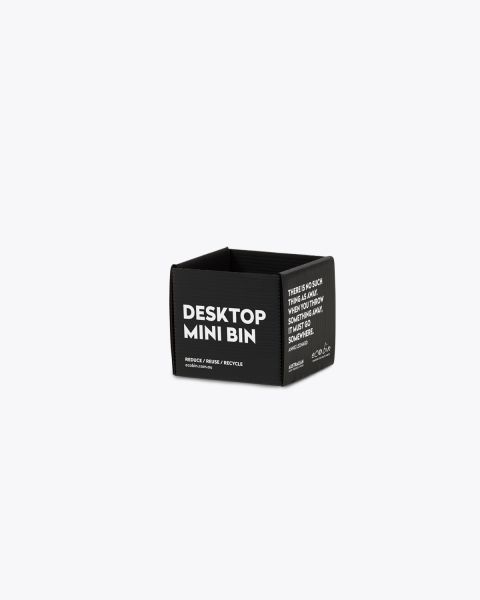 There is the small 1Lt Mini Bin, which is perfect to use in the office to put on your desk replacing underdesk bins. 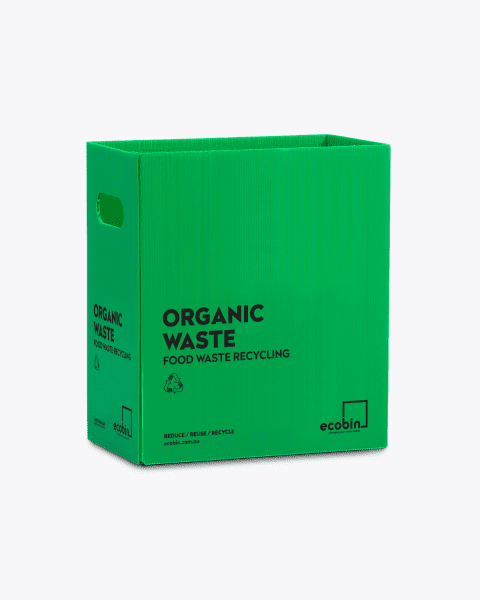 The mini bin is available for Organic waste (Green) and also for Landfill (Red or Black options). There is also a 1Lt Battery Recycling Bin (Black) to collect and dispose of used batteries at Aldi. 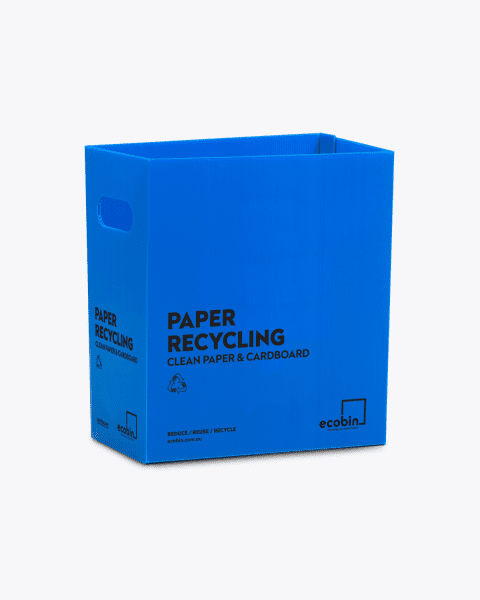 Ecobin also offers 12Lt indoor bins that can be used at the office or home as under desk recycling bins for both Paper Recycling (Blue) and Mixed Recycling (Yellow or Black). 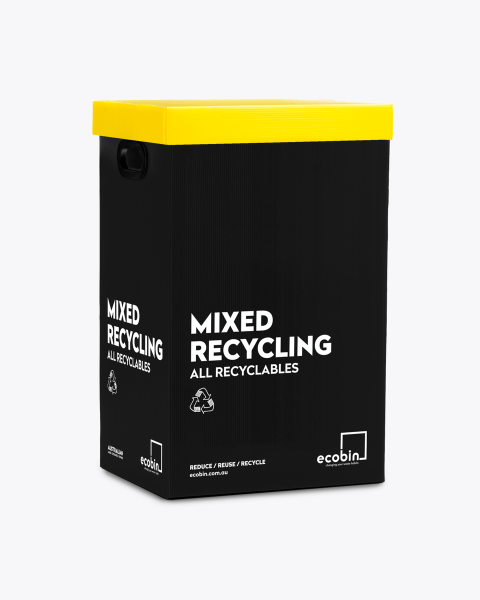 Finally there is our 25Lt and 60Lt recycling bins which are available in the original bold colours, the black post consumer range or and the 60Lt FLIP bins allowing you to select the ideal indoor bin to suit your home, office, school or childcare centre. 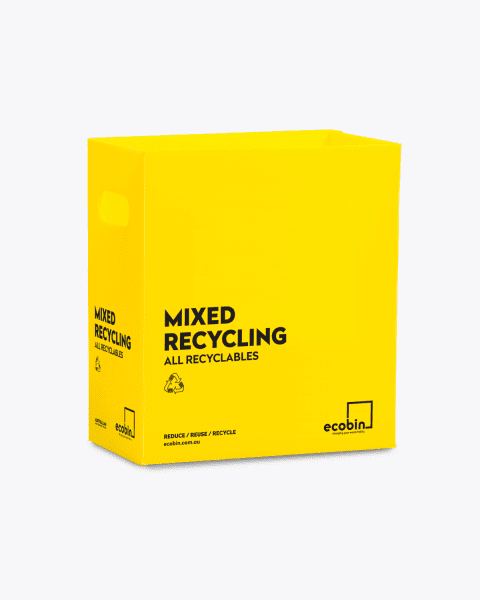 The original bold coloured range of recycling bins are available in the bright red, yellow, green, blue and white colours to add a pop of colour to your office waste stations. 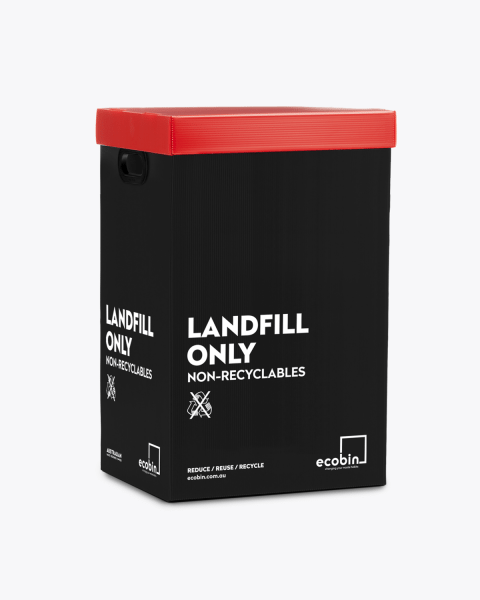 Our black range of recycling bins are made from post-consumer recycled plastic, these indoor bins are the ideal choice for the most environmentally conscious organisations and look very sleek in black with a coloured lid. 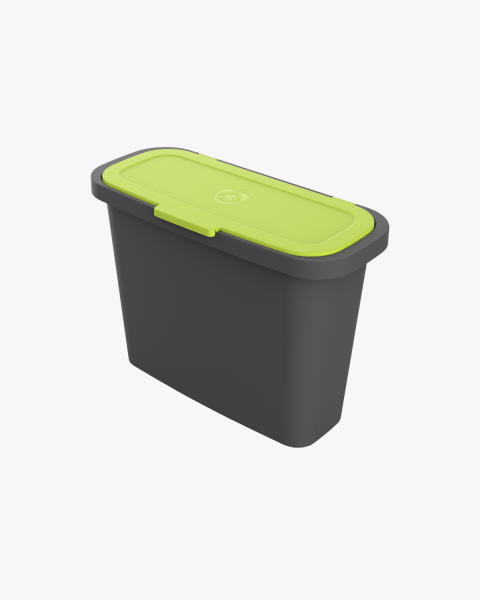 Another feature of the rubbish bin design in both the original range of bins and the black mixed range is the option of a fully closed lid or an open hole to assist with your office waste management. For those looking for something a bit special our beautiful range of FLIP bins are also made from post-consumer recycled plastic, and feature a self-closing lid. The FLIP bins are a new indoor bin created by Ecobin and give your office waste management that touch of style. 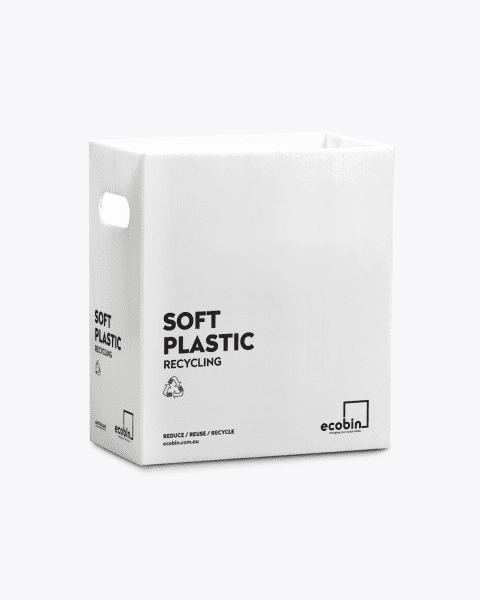 Ecobin’s indoor bins are made of corrugated plastic. Our bins require substantially less energy to manufacture than injection moulded plastic bins and / or metal bins, which is why they are a great alternative.